JCO would like to wish you heartfelt good wishes on this auspicious Janmasthami. May Lord Krishna's grace always be with you !!!! Let's celebrate the glory of Shri Krishna as he ascended to destroy the evil from the face of earth. Janmashtami (also known as Krishnastami or Gokulastami) is the birthday of Lord Krishna, the eighth avatar (incarnation) of Lord Vishnu, believed to have been born about five thousand years ago in Mathurs in 'Dwapar Yuga'. It is celebrated in the August/September months. This religious festival celebrated by every Hindu all over the world. They spend the day immersed in Shri Krishna's glory by reading, reciting and singing his divine leela especially in the evening in mandirs. Temples of Lord Krishna are decorated most beautifully and children are adorned as Lord Krishna and Radhika, his spiritual beloved. Krishna Leela or the plays depicting scenes from Krishna's life, especially childhood, are performed. At midnight, the Lord's birth hour, arti is performed. He is also installed in the form of 'Lalji' (child form) in a swing and devotionally offered many sumptuous food dishes. 'Makhan' (butter) is especially included since Shri Krishna loved this in childhood.People fast on this day, usually a waterless fast. We've been lucky to visit Lord Krishna's birthplace twice, once I was so young and last year we took our daughter with us. Sadly I have to say that except little more security nothing has changed as far as the cleanliness of the surrounding area of this holy place, is concerned. It is a matter of regret ! So instead of getting any prasad ( sanctified pure vegetarian food ) we just got Lalji ( child form idol ) and his Swing, for blessing and that lightens up our room everyday ! This year our daughter is volunteering at Bhaktivedanta Temple , where Manor’s spectacular Janmashtami festival is expected to attract over 70,000 pilgrims to celebrate the birth of Lord Krishna. We celebrate this day with lots of joy and enthusiasm, as our son was born around this time nearly 18 yrs ago. We do observe fast too, but we consume milk based dishes and fruit, If Krishna was born in the 21st century I bet Krishna would have hated it as they use shampoo and many harmful chemicals in making milk in India..! 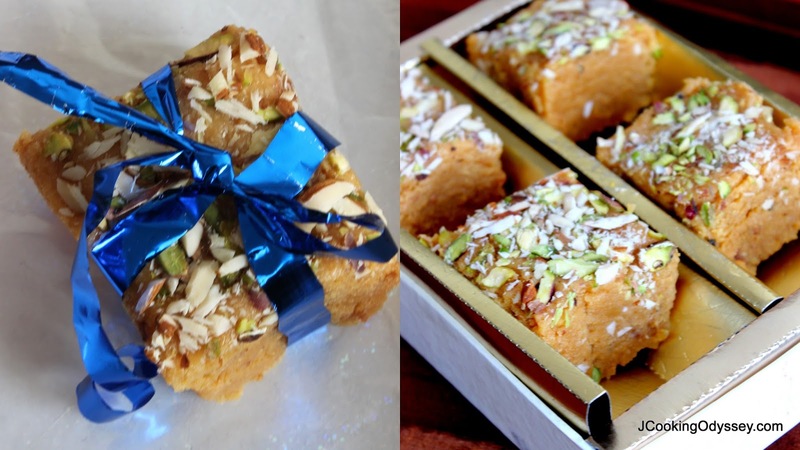 Krishna's love for milk and dairy, we do offer him dairy based sweets and every Asthmi I prepare something for prasad (sanctified pure vegetarian food) , this year we have Dodha Barfi !! Meanwhile in another pan make sugar syrup by adding sugar and 1/4 cup water. Boil and simmer for 5-6 minutes. Add sugar syrup in to roasted khoya and keep stirring, add cardamom powder and whole nuts. Mix everything for 4-5 minutes on a medium flame. Transfer a mixture into a greased tray and level it out with spoon. Let it cool completley and cut them into desire shape. happy janmashatmi !! barfi looks super yumm ! Happy Janmastami to you and your family. The burfis look simply awesome. Looks delivious, I wil have to try this. Happy Janmashtami.. I am missing my Bal Gopal in the jhoola too.. hopefully next year will decorate and celebrate nicely..
Barfi looks yum.. professional touch. Delicious and enjoy the celebrations at the Bhaktivedanta Manor. Omg, wat a wonderful and very tempting barfi..Fantastic fudge there.Breath taking pictures..
Only just found this- sorry! Hope you all had a great Janmasthami and yr daughter had a good time at The Manor. 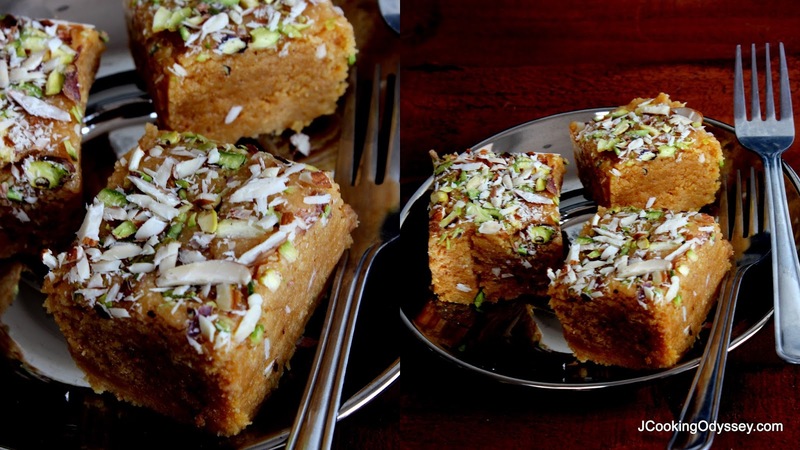 This is a beautiful recipe, which Baby Krishna would love (your Deity is very sweet btw!) but how sad the milk in India is so chemically produced. What do they use the shampoo for? Me and my husband as you probably know from our blog, went vegan because of the cruelty to cows here in the UK. The milk from The Manor is good, cruelty-free milk though. It is lunch time here and I am going crazy seeing this yummy barfi in front of me...absolutely beautiful presentation and great recipe, as always! Yum yum!!! How gorgeous and irresistible it looks. Sounds easy to prepare with few ingredients . Milk fudge is so tempting and delicious. Thanks for sharing such a wonderful recipe. The dessert looks absolutely delectable and irresistible Jagruti ! Feel like grabbing a couple from that plate .. yummilicious share ! dhodha barfi is such a tasty sweet that until someone taste it no one can explain the joy having it. we buy this on delhi airport everytime we get a chance. Looks fabulous. 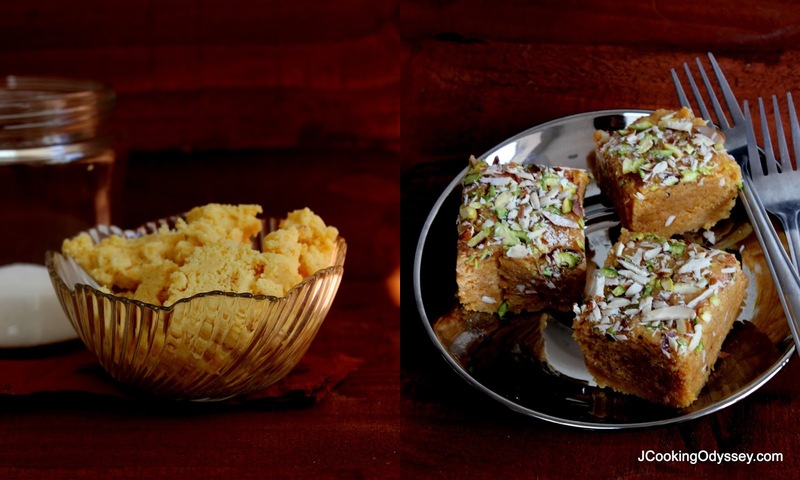 The malai dodha burfi is looking so yumm, no one can resist it. Lovely share. Looks wonderful and very simple to make too! I’m sure it tastes heavenly. Lovely share. 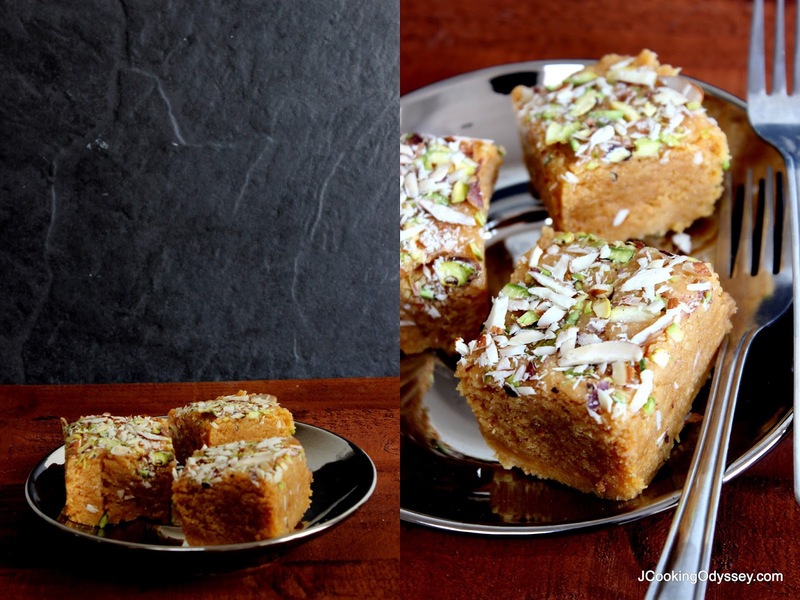 Malai dodha barfi is my moms favourite, and your recipe sounds so good loved the recipe, it looks so tempting.